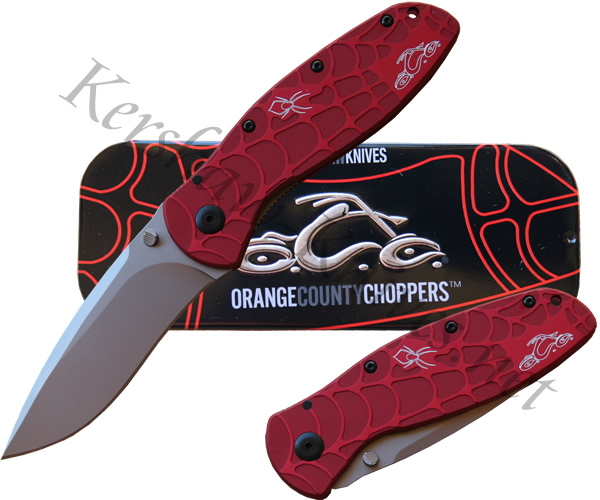 This version of the Kershaw Blur was inspired by the Orange County Choppers logo. This Kershaw model 1670OCC comes included with a gift tin. The blade is assisted opening and can be opened using either of the ambidextrous thumbstuds. The handle has raised 3D web pattern on it and features the OCC logo in the corner.